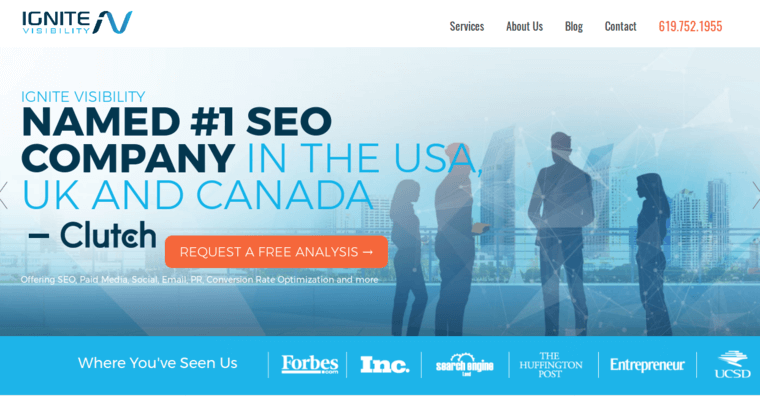 Ignite Visibility is an SEO company that has been ranked number one in the United States, United Kingdom and Canada by Clutch. 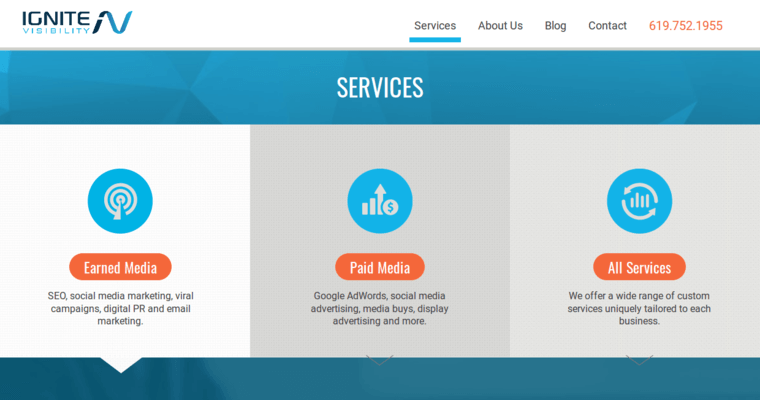 They have optimized search results for clients in a manner that has resulted in an average increase in revenues of 162 percent and an increase in conversions of over 750 percent. 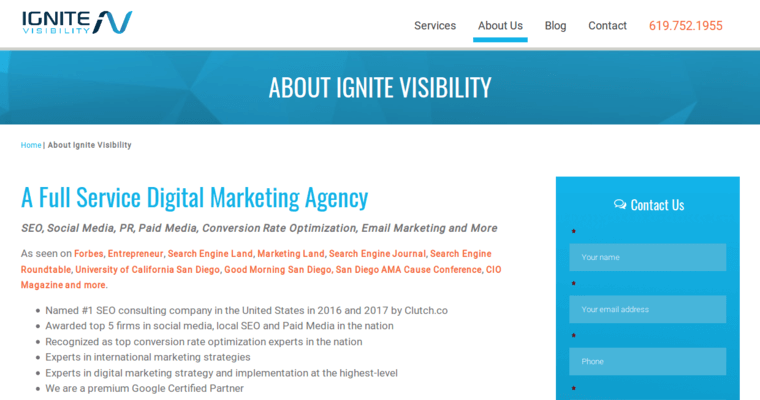 With results like these, the team at Ignite Visibility are recognized as leaders in the search engine optimization industry, and they have garnered mentions in Forbes, Inc., Entrepreneur and The Huffington Post. They pride themselves on having a low client to project manager ratio, so every client gets the attention they deserve. They believe in keeping clients informed about everything they are doing for them and in delivering results that exceed expectations, which is why they do not need long-term contracts. They can completely handle SEO for a client whether they are looking for local, national or international SEO work.